We are located in the same office park as Kaiser Permanente off of Cherry Hill Rd. in Silver Spring. Turn onto Plum Orchard Dr., so that Kaiser Permanente is on your right. Pass Kaiser's main entrance, and you'll enter a traffic circle connecting 3 office buildings. We are in the 3rd building you come to on the traffic circle (Adventist Health). Our entrance & parking are at the back of the building. 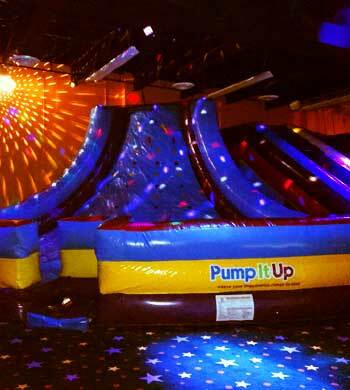 Why bring Pump It Up to Silver Spring? 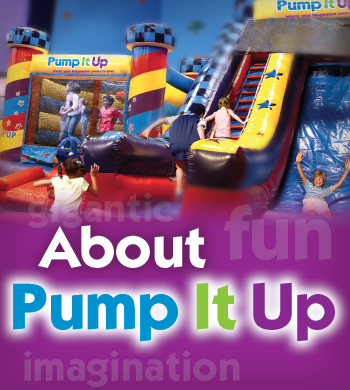 The owners saw how much their kids enjoyed the Pump It Up experience at other area facilities. As residents of eastern Montgomery County, they also knew, from personal experience, that families and residents on this side of the county have extremely limited indoor family-friendly entertainment options. They decided to do something about it. Pump It Up to Silver Spring was opened to offer east county residents a first-rate, year-round family recreation and entertainment facility!